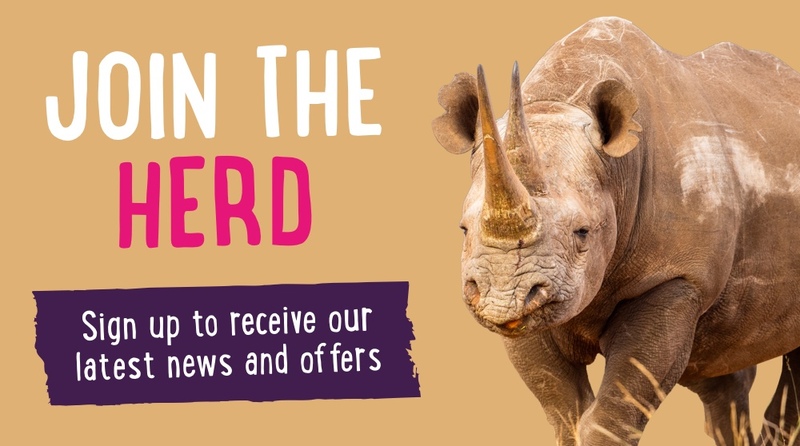 Twycross Zoo heads to Cameroon to support Ape Action Africa! This month, Twycross Zoo veterinarians Matyas and Phillipa travelled to Cameroon to support our conservation partner Ape Action Africa in their efforts to conserve great apes. 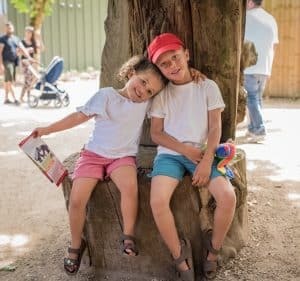 Twycross Zoo has supported Ape Action Africa for many years not only through funding but also through the donation of medical supplies, uniforms and providing expertise and knowledge from our zoo keepers and veterinarians. 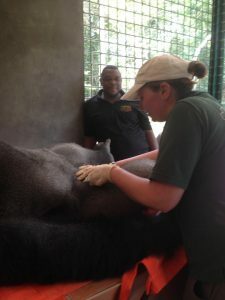 Following a previous visit by our staff in 2017, Matyas and Phillipa have travelled on this occasion to provide their veterinary expertise in relocating individual gorillas. Many of the chimpanzees and gorillas that Ape Action Africa care for have been orphaned as a result of threats from habitat loss and poaching for the bush meat and pet trade. To safeguard these great apes, Ape Action Africa provide extensive rehabilitation efforts for apes which may not otherwise survive. 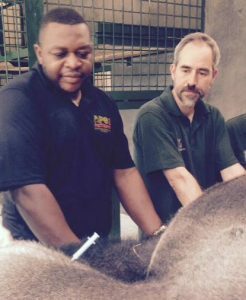 While in Cameroon, Matyas and Phillipa shared their knowledge and expertise to conduct health checks and enable the safe movement of three gorillas to a different rehabilitation enclosure in Cameroon. 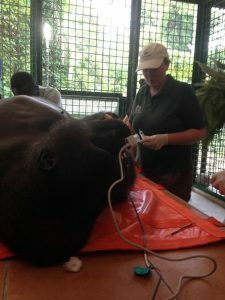 Using their skills and experience working with Twycross Zoo’s great apes, a full health check was was carried out which showed the apes were in good health and making good progress. By supporting Twycross Zoo, you enable us to support Ape Action Africa by providing these expertise, to help ensure the survival of great apes in Cameroon. To find out more about Ape Action Africa, visit their website here.